Our ‘Beauxbaton’s Blend‘ began the process. Sadly, it took us a couple years to get around to blending teas for Durmstrang and the Hogwarts houses. 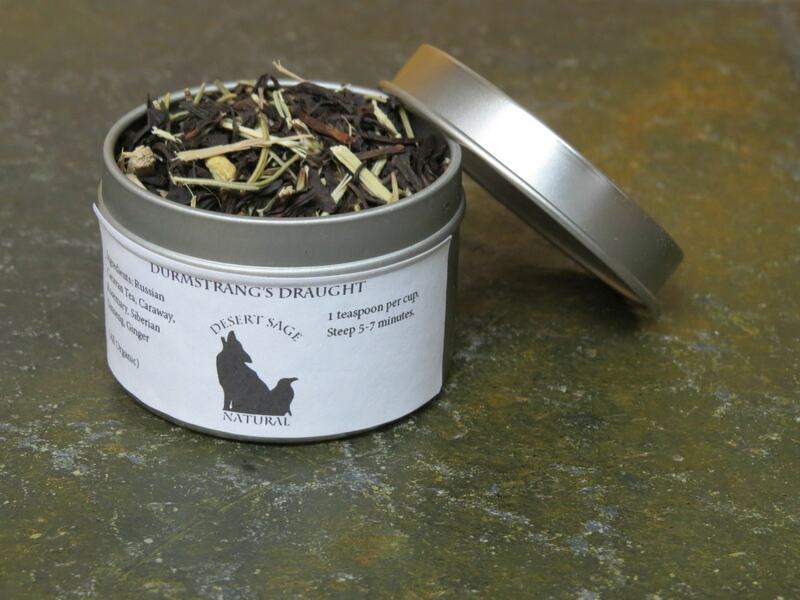 I hadn’t initially had any notes on Durmstrang, strangely enough – but there are good conversations to be had in the Twitterverse, and a couple of lovely people brainstormed with me for a bit about all the various Potterverse teas we wanted to create. Durmstrang needed to hearken to forests and dark places, and I wanted to add some traditional spices from Russia and Eastern Europe. As I researched and thought and chose the tastes I wanted to use, I was a little disconcerted. Because what I was planning on creating seemed a bit unusual for a tea. 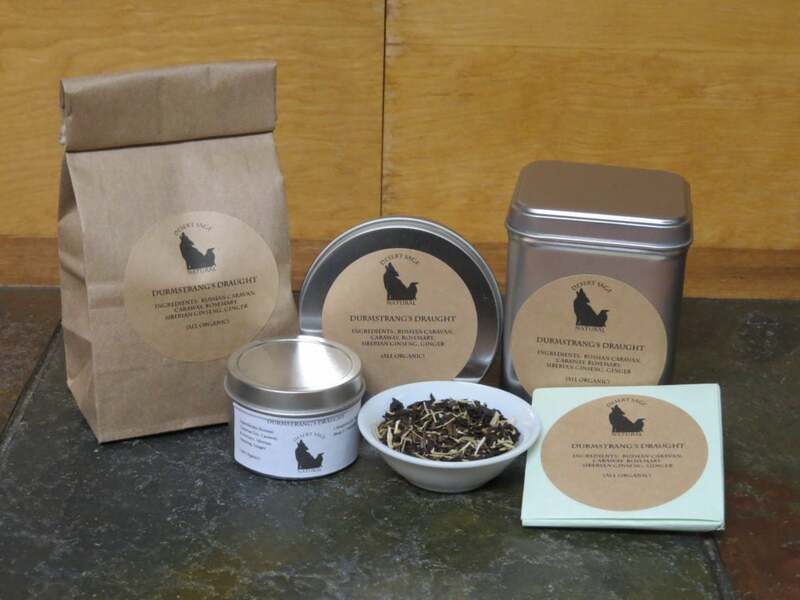 I began with Russian Caravan, a dark and smoky tea, added Siberian Ginseng, both for the particular aspect it adds to a taste profile, and because it seemed appropriate. Ginger for warming, Rosemary for that hint of forest, and Caraway to evoke thoughts of any number of solid sustaining meals. The final tea is definitely different from most of what you will find out there, but quite lovely, in its own unique way. This entry was posted in Black Tea, Simply Tasty Teas and tagged Cinematic Teas, Desert Sage Natural, Durmstrang, Harry Potter, Literary Tea, Organic Caraway, Organic Eleuthro, Organic Ginger, Organic Rosemary, Organic Russian Caravan Tea, Organic Siberian Ginseng, Potterverse Tea, Simply Tasty Teas by DesertSage. Bookmark the permalink.